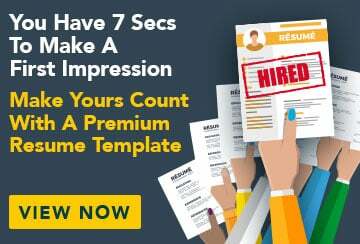 This free sample cover letter for an electician has an accompanying electrician sample resume and electrician sample job ad to help you put together a winning job application. I wish to apply for the position of full-time electrician at Redwire Zone as advertised in the Electrical Services Weekly on 21 June 2009. During my nine years in the industry, I have worked across residential, commercial and industrial electrical systems and have an advanced working knowledge of all technical components. My experience has included fault finding, panel wiring, construction and installation, management of other electricians and subcontractors, materials ordering and receiving, reading and interpretation of specifications and drawings, OHS and QA documentation, and liaison with builders, foremen, project managers and others within the building industry. I possess an Advanced Diploma of Electrical Engineering, as well as a Certificate II in Electrotechnology. Over the years, I have gained not only technical expertise but also solid experience in project management, including bookkeeping, equipment maintenance and human resources. I possess a grade A electrical licence, OHS White Card and current driver’s licence, and have experience with simPRO and PLC programming. I also have advanced knowledge of industry standards and regulations. I am an organised and committed leader, as well as a strong team player. I have a proven track record of delivering excellent work to tight deadlines, and I pride myself on the quality of my work. My communication skills and positive attitude mean I am able to liaise effectively with clients and colleagues, and maintain ongoing business. I am keen to pursue a career with Redwire Zone, and look forward to bringing my technical and management expertise to your exciting new projects.